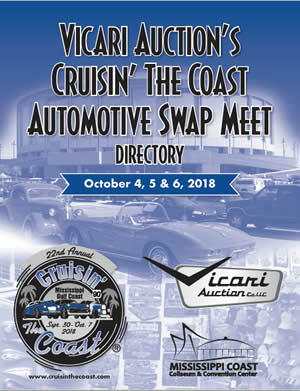 The Cruisin’ The Coast Swap Meet has approximately 250 vendors selling everything from hair bows to bumpers all in one convenient location. Come to the Mississippi Coast Coliseum Thursday, October 10 thru Saturday October 12, 2019 from 9 a.m. to 5 p.m. to shop for your car needs. Many vendors are returning this year to their same swap meet locations with the quality merchandise cruisers have come to expect. New vendors will be coming this year as well, and adding to the wide range of products already available, so check them out! 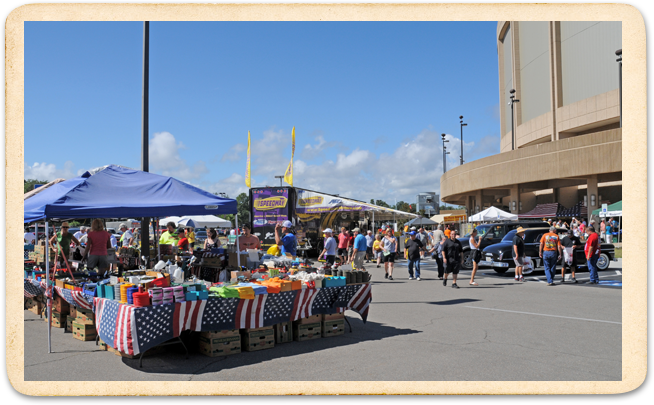 Vendors, please call the Swap Meet Director at (586) 703-2381 for any questions concerning spaces and applications. $10 entry fee required at gate (registered cruisers receive 2 Tickets in the registration packet).